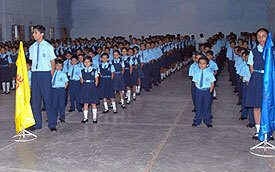 There are about 400 students, both girls and boys, on rolls, ranging from 3 ½ years to 18 years. As the school is not exclusively residential, all the students are boarders. 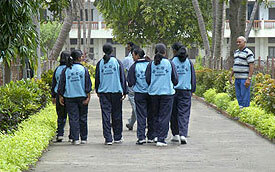 The students come from all over India and abroad, with most of them coming from Gujarat. The school is completely secular in nature and no distinction is made on the basis of caste, creed religion or nationality.